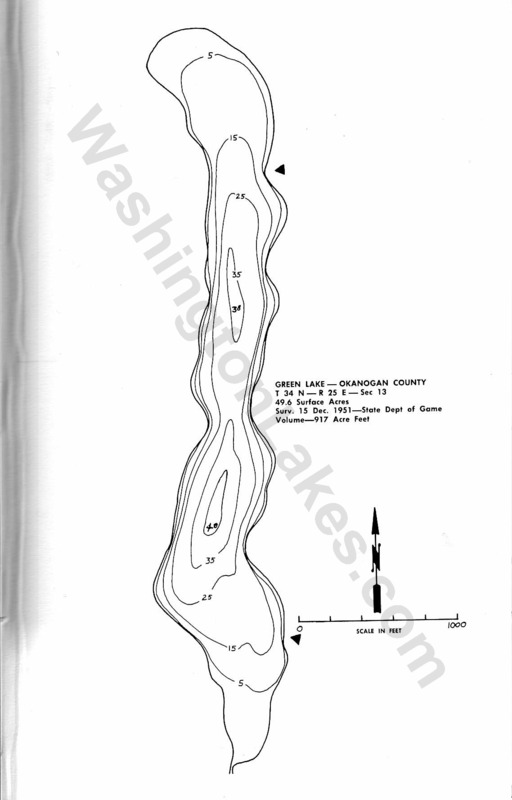 Green Lakes (54 acres): These two lakes located about 5 miles northwest of Omak have a special winter season; be sure to check the regulations pamphlet. Fishing should be fair for 7- to 9-inch rainbow trout. Green Lake (45 acres) has a boat launch and toilets. Disabled availability level 3, WCT with steep access. Little Green Lake (9 acres, also called Lower Green Lake) has Level 3 disabled availability, WCT, dirt paths, sloped.